Alcohol is arguably the oldest drug known to man, its use dating back at least 10,000 yr to the dawn of human civilization (1). Although illicit drug use often receives more attention in contemporary society, alcohol abuse exacts a devastating toll: In the United States at present, over 7% of the population meet diagnostic criteria for alcohol abuse or alcoholism (2), over 28% of children under 18 yr of age are exposed to alcohol abuse or dependence in the home (3), and the overall economic cost to society of alcohol abuse has been estimated at $ 185 billion (4). Despite intensive research since the latter part of the previous century, it is clear that the biological actions that are responsible for the characteristic effects of ethyl alcohol, or ethanol, on human physiology and behavior are still incompletely understood. Because of the simple chemical structure of ethanol (it differs from water only by two methylene groups) and its low potency (it produces most of its biological effects at millimolar concentrations), alcohol undoubtedly interacts with multiple sites in the central nervous system. 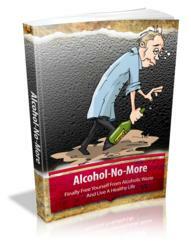 The biological effects of alcohol almost certainly reflect its concerted actions at a number of these sites. Of the many possible targets of alcohol actions, neurotransmitter receptors, and in particular, neurotrans-mitter-gated receptor-ion channels are currently believed to be among the most important (5). Because the neurotransmitter glutamate mediates the majority of fast excitatory neurotransmission in the central nervous system via actions on glutamate-gated receptor-ion channels (6), effects of alcohol on these ion channels could profoundly alter central nervous system function. In addition to postsynaptic effects on glutamate receptors, alcohol could also influence glutamater-gic neurotransmission presynaptically by altering release of glutamate or its clearance from the synap-tic cleft. Few studies have addressed this, however (7-9), and results of studies in brain slices suggest that presynaptic effects of alcohol on glutamatergic transmission are likely to be of lesser physiological importance relative to postsynaptic effects (10,11). The content of this chapter will be restricted to the effects of acute exposure to alcohol on pharmacologically isolated or recombinant glutamate receptors. Although effects of repeated or chronic exposure to alcohol on glutamate receptors are of great interest because of their relevance to human alcohol abuse and alcoholism, this topic is addressed in Chapters 24-26. For a more detailed discussion of the effects of alcohol on glutamatergic synaptic transmission, including studies performed prior to glutamate receptor cloning, the reader is referred to the review by Weight (12). 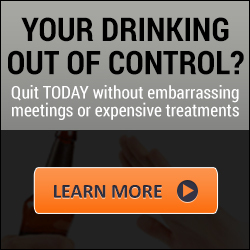 underlie learning and memory, and motor coordination (13-16), all of which have obvious relevance to the intoxicating effects of alcohol. 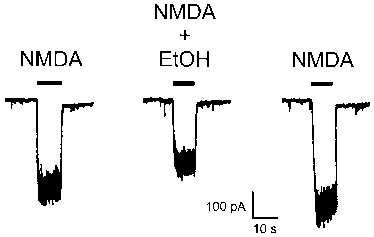 Perhaps the first evidence of an effect of alcohol on NMDA receptors was the finding that ethanol, as well as the alcohols methanol, 1-propanol, and 1-butanol, inhibited NMDA-evoked 22Na+ efflux from rat striatal slices (17). The first direct evidence for alcohol inhibition of NMDA receptors in neurons was reported in a study in mouse hippocampal neurons in culture, in which alcohols from methanol to isopentanol inhibited NMDA-, kainate-, and quisqualate-activated ion current (18). Other studies in the same year also demonstrated ethanol inhibition of NMDA receptor single-channel currents (19) and ethanol inhibition of NMDA-stimulated 45Ca2+ uptake (20,21), cyclic GMP production (21,22), and neurotransmitter release (23). 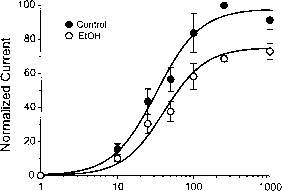 Importantly, ethanol inhibits NMDA receptors at physiologically relevant concentrations (Fig. 1). Although the potency of ethanol may vary depending on experimental conditions, the large number of studies to date that have reported inhibition of NMDA receptor-mediated responses by concentrations of ethanol in the intoxicating range in many different tissues and preparations using various experimental techniques testifies to the robustness of this effect. receptors in transfected cells did not differ depending on the presence or absence of the NR1 N-termi-nal cassette (30). In some studies, the NR2 subunit type was reported to alter ethanol sensitivity of NMDA receptors, with NR2A and NR2B subunit-containing receptors generally being the most sensitive to ethanol inhibition (31-36), whereas other studies reported little if any influence of the NR2 subunit on ethanol sensitivity (30, 37-39). If there is any consensus on this point at present, it is that NR2A and NR2B subunits under some conditions confer the highest ethanol sensitivity, with NR2B being perhaps the most sensitive, whereas NR2C and NR2D subunits are less sensitive. The contribution of NR1 splice variants to ethanol sensitivity in neurons under normal physiological conditions is probably of lesser importance. It should be appreciated, however, that any differences in ethanol sensitivity among NMDA receptor subunits are subtle at best. Thus, brain region-specific ethanol sensitivity of NMDA receptors is most probably not attributable to simple differences in ethanol sensitivity of subunit combinations, but instead is more likely to arise primarily from factors such as phosphorylation state or intracellular modulatory proteins (see below). Differences in regional expression of NMDA receptor subunits may still be important, however, in that modulation of ethanol sensitivity by phosphorylation or intracellular proteins may differ among subunits.